Jet Setting doesn't always have to be about getting on an airplane to do fun things. Sometimes, it's fun to hop in the car and go...and that's what I just did! The week before New Year's, I took a quick road trip with one of my really good friends, her baby boy and mine up to Rhode Island. We went to visit one of her really good friends and her two nieces. We had a lot of awesome girl time, which included shopping at Providence Place Mall, and eating some traditional Rhody food. 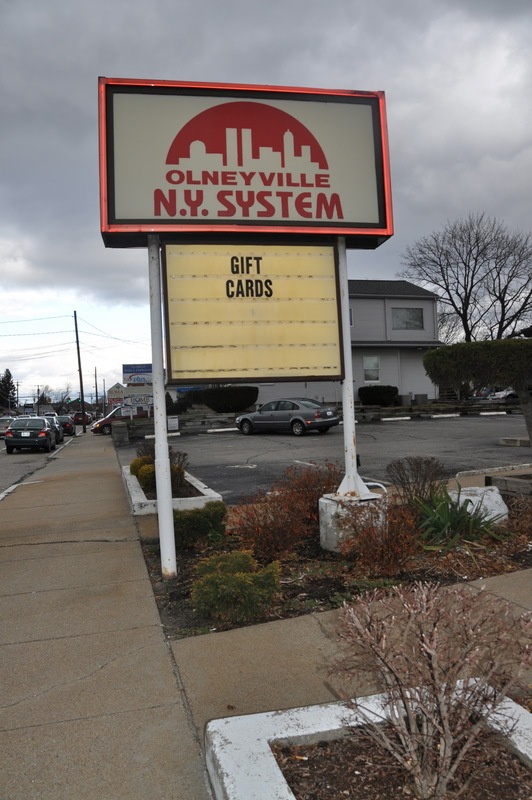 Our first stop was to Olneyville N.Y. System. I had it on my list of places to check out...remember??? We then went to Newport Creamery for dessert and I tried one of their Awful Awful's. Awful Awful stands for "Awful Big, Awful Good!" And that so was the case. I got the chocolate- basically one of the BEST chocolate milkshakes I have ever had! What a fun little delicious "Rhode Trip!" I still have to go back and try Bob and Timmy's and Haven Brothers Diner. Any other good places to try...let me know.